You've removed some font packages: noto-fonts-compat, ttf-hack and xorg-fonts-misc. All of these contain monospace fonts, and a terminal emulator normally uses a monospace font. 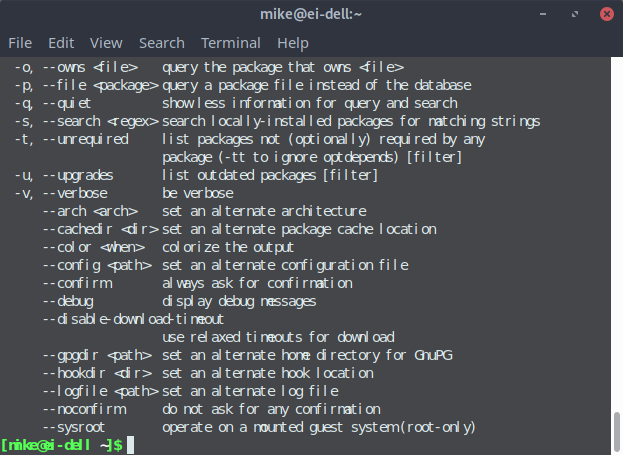 Without a screenshot of your terminal before the problem appeared, I cannot guess which font was used by your terminal window, but I'd bet it was in one of those three packages. Now, when the actual font is gone but the settings of the terminal emulator (or any other program using that font) have not been changed, X11 does its best to find and use the "most similar" font it has available as a replacement. But the replacement-choosing algorithm only ensures that all the letters will fit into the space available for them; it cannot evaluate how good it will look. Not the answer you're looking for? Browse other questions tagged package-management manjaro pacman or ask your own question.